Every so often, inspiration strikes and inventors devise the gadgets that move society forward. Such as the automobile. The personal computer. The Pet Rock. Inspiration visited a young army officer one day. The things he created found an eager market. But because of just one decision, he didn’t make a dime off them. The next time you feel like you can’t catch a break, remember Henry Hopkins Sibley, and you’ll know what bad luck really is. 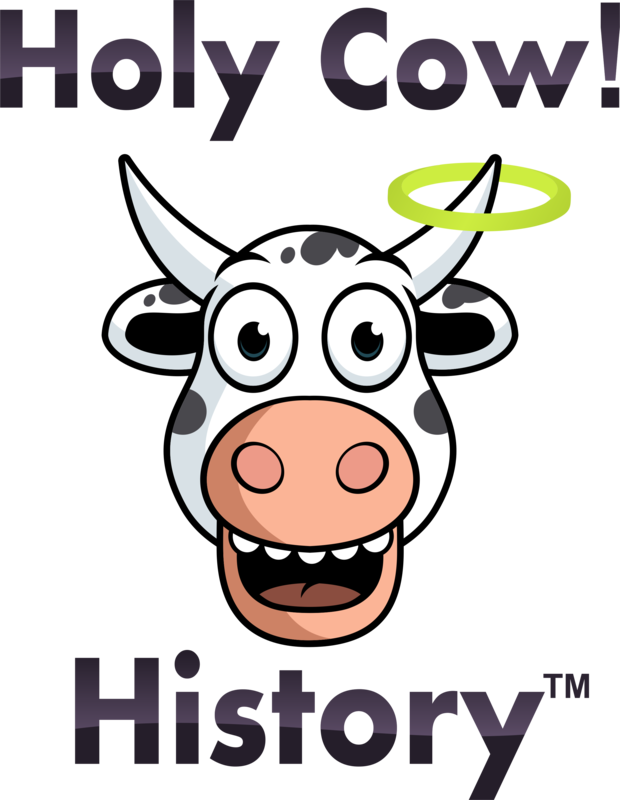 Like so many people in Holy Cow! History stories, Sibley’s life began full of promise. 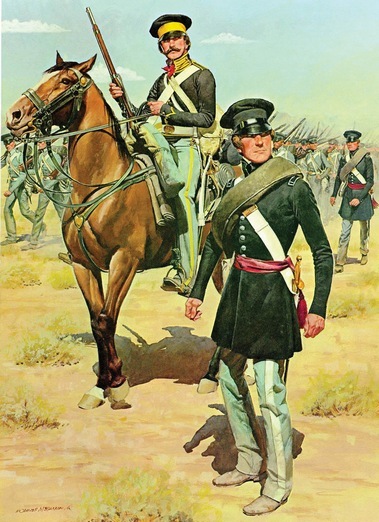 Born in Louisiana, a graduate of West Point, his military career started as a lieutenant in the Second U.S. Dragoons, a kind of mounted infantry that fought both on horseback and standing. He served in the Mexican-American War, was among the troops sent to keep peace in “Bleeding Kansas,” and spent several years chasing Native American tribes around the West. Which is where he had his great idea. With ample free time on his hands, he sketched his design for the Sibley Tent. 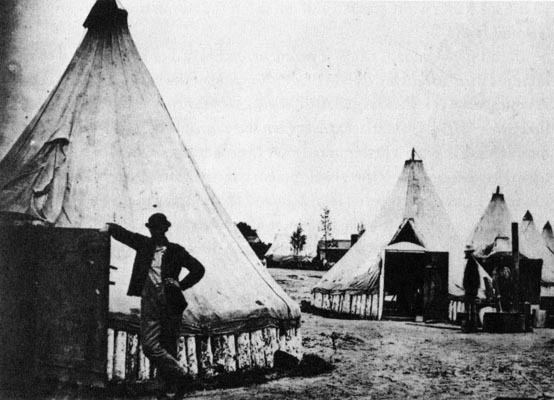 It was basically a glorified version of a Native American teepee, using canvas instead of animal skins for cover. A central pole held it up and it slept twelve men comfortably. Just like the Indian version, it was light and perfect for people on the go. 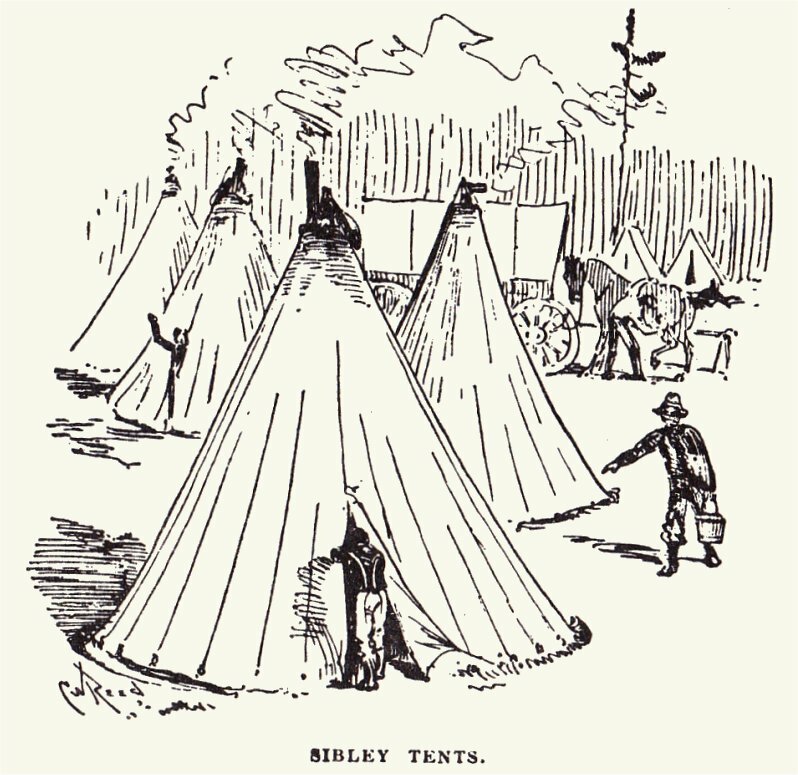 The Sibley was held down by two dozen pegs instead of the support ropes used by traditional tents. It could be erected over a fire pit, and one of its best features was the ventilation hole that let smoke out without worrying about which way the wind was blowing. 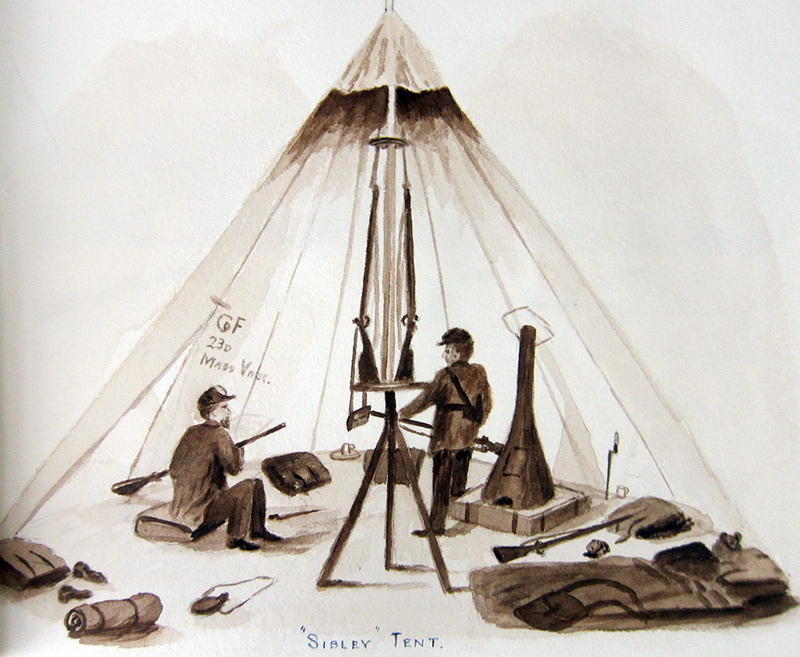 The Army decided to give Sibley Tents a try, testing them during the Utah Expedition of 1857-58. The result: an enthusiastic “thumbs up” from officers and enlisted men alike. So Uncle Sam offered Sibley a deal; the government would pay him $5 royalty for every Sibley Tent it made. True, the U.S. Army was very small at that moment and didn’t need many tents, but who knew what the future might bring? Sibley, a cash-strapped captain by now, jumped at the offer. It didn’t take long for Fate to step in. When the Civil War erupted in 1861, Henry Sibley’s luck went south. Because he did, too. When his native Louisiana seceded from the Union, Sibley cast his lot with the Confederacy. He resigned from the Army the very day the War Department decided to promote him to major! And things only got worse from there. Hundreds of thousands of volunteers flooded into Union ranks, and they all needed sleeping accommodations in the field. So Washington ordered thousands and thousands of Sibley Tents. When the war ended four years later, nearly 50,000 had been produced. With a royalty of $5 per tent, Sibley would have made $250,000, the equivalent of more than $3 million today. But he never got a penny. Since Sibley was fighting for the South, the War Department figured it didn’t owe him anything. So it didn’t pay him anything. Sibley’s luck was bad on the battlefield, too, made worse by a bad habit. He liked to drink. I’m not talking an occasional swig or two; I’m talking blind, falling down drunk. 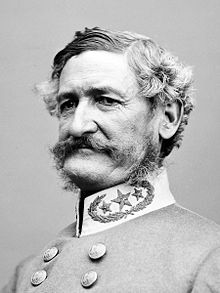 Promoted to general, he was given command of a cavalry brigade in west Texas, which he grandly named the Army of New Mexico, and set off to conquer the West for the Confederacy in early 1862. Things started well. The little band seized Albuquerque and Santa Fe, and Colorado’s vast gold and silver fields seemed within reach. Sibley planned to whip the Yankees there and push all the way to the ultimate prize: California. Then came the Battle of Glorieta Pass, dubbed “the Gettysburg of the West” by historians. While Southern troops won a tactical victory, it was nonetheless a major strategic defeat. Sibley had been drinking and failed to protect his supply train. 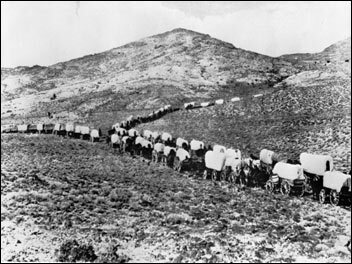 Most of his horses and mules were killed, leaving the little army stranded with a fresh Union force rapidly approaching from the north. Sibley retreated all the way to Texas – and then had to make the long trip to the Confederate capital in Richmond, Virginia to personally explain what went wrong. He was given a few minor, backwater commands after that. But Sibley battled the bottle as much as the Yankees, and was court-martialed the following year. Though acquitted of cowardice, he was officially censured for being drunk on duty. When peace returned, he was one of dozens of generals on both sides who needed a job. 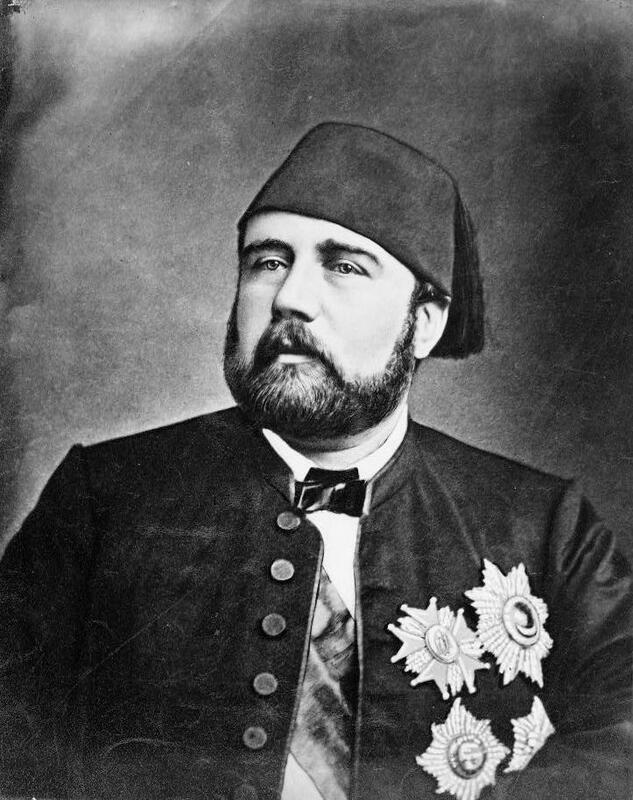 So from 1870 to 1873, Sibley served as military adviser to the Khedive of Egypt, where he was a brigadier general in charge of coastal artillery. But old habits returned, and the Egyptians finally kicked him out of their army for drunkenness. Sibley slunk back to the U.S. in disgrace, living with a daughter in Virginia while filing one legal challenge after another in hopes of recovering the royalties from his tent design. He lost every one. Sibley died a year later, flat broke. Picking sides carried a high cost for Henry Sibley, both personally and financially. Depending on your point of view, he either sacrificed everything for his beliefs, or passed up a chance for a fortune that never came his way again. This entry was posted in American history and tagged Civil War, Henry Sibley, Old West, Sibley Tent on May 13, 2016 by admin. Was the money ever claimed? To the best of my knowledge, no it wasn’t. Go for it! 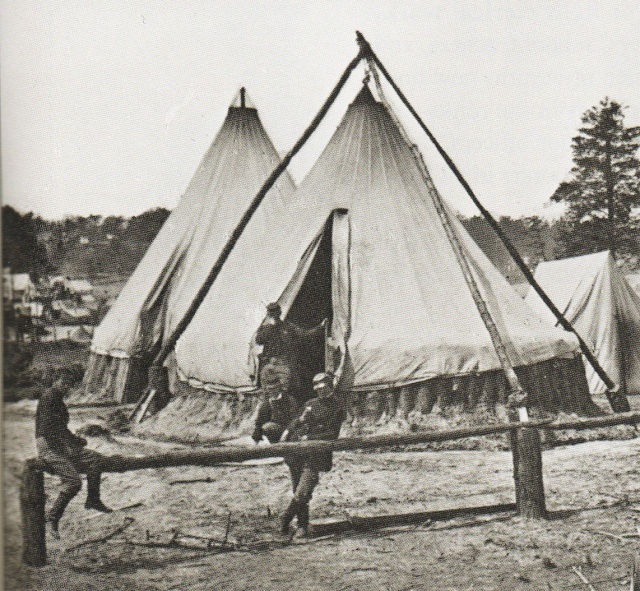 Where did you get these pictures of the sibley tent? Man standing in front of tent and solders sitting leaning on post in front to sibley tent? Hi. Thanks for writing. Unfortunately, I wrote that piece more than a year ago. Can’t recall the source. Very sorry.